Weekend! -Healthy Wines!!! – balance, baby! Which is the better wine to drink; red or white? Why? And does ‘organic’ make a difference? Read on and have great weekend! Now, I don’t know about you, but wine tends to give me headaches while spirits don’t. I’m not talking about excessive drinking and hangovers. Hard liquor doesn’t contain sulfite and wine does, therefore it was logical to assume it’s the sulfite that makes me feel bad. -I was right here; apparently many people are sensitive or even allergic to it (people with kidney and/or liver disease or severe asthma are strongly advised not to consume anything containing sulfite). It can also be a logical assumption that organic wines contain less sulfite. -Wrong there. ALL wines contain sulfite. Like alcohol itself, sulfite is a natural by-product of the yeast metabolism during fermentation (it’s why dried fruit also contain a lot of natural sulfites). The natural amount of sulfite is around 5 parts per million (ppm). But most winefarmers add 4-40 times that amount. They do that because sulfite has the practical effect of killing bacteria, knocking out unwanted yeast, keeping the wine from oxidation and, most important, it conserves and preserves the wine for a much longer period of time. 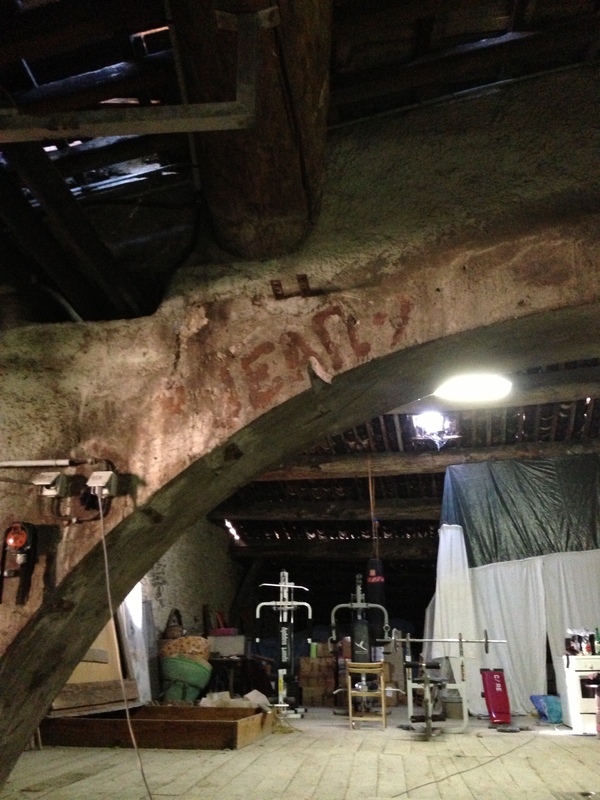 Wines without added sulfite have to be stored (and shipped/transported) at 14-16 celcius. Which means these are expensive, not easy to find and you need an own wine-fridge. 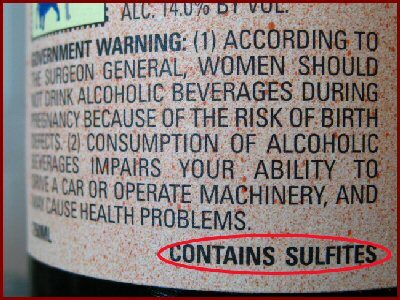 It’s why we find *contains sulfites* on the labels of winebottles (meaning ADDED sulfites, btw). Any wine containing more than 10ppm of sulfur dioxide must affix to that label. But it doesnt actually say how much is really in it. One wine can contain 80ppm, another can contain 250ppm. It makes a big difference. So the biggest amount of sulfites in wine are chemical additives; you’d think organic wine would be the best to go with, right? –well NO: organic wine isn’t really ‘organic’. In Europe ‘organic wine’ usually means the GRAPES are organically cultivated. 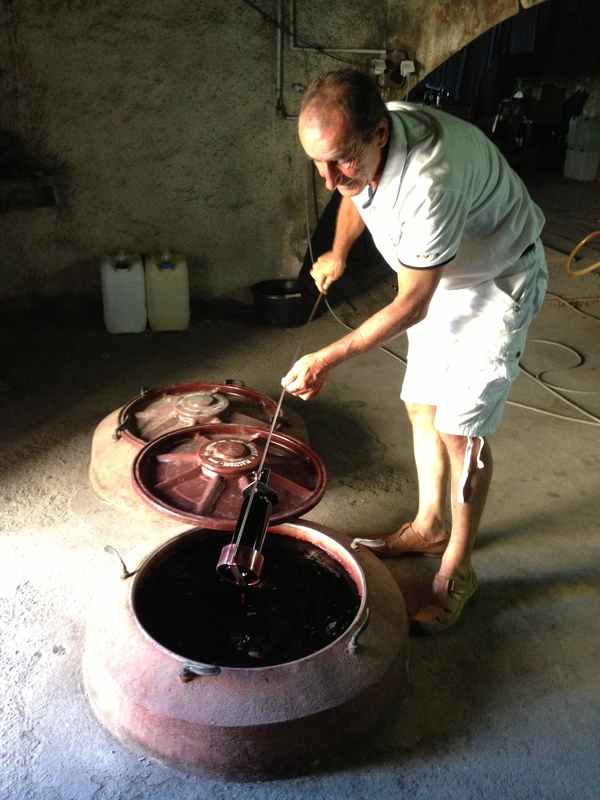 Not the process of wine-making. It’s different in the US: rules are stricter so labels show whether the wine itself has been organically processed, or if it’s only the grapes that were organically cultivated. In the EU there are 3 institutions that legislate the produce of ‘official’ organically produced wines: Nature et Progrès, Vins Naturels and Demeter. The wines produced under their supervision contain a lot less sulfites (under 80ppm). Check the label for one of these three names. Adding sulfites is cost-effective: the product has a later sell-by date, thus making it more profitable to produce large quantities of it while keeping the prices low (a bit like tinned veggies). It’s why you can almost be sure the cheapest wines in stores (you know, the 3 euro cardboard box) will contain the highest amounts of sulfite. Just a good hint, no guarantee. Red wine contains tannin and needs less sulfite to stay preserved (a reason why its considered healthier than white). Sweet wines need most additives to stay preserved. And are calorie-bombs. So better to stay away from that stuff in any case.